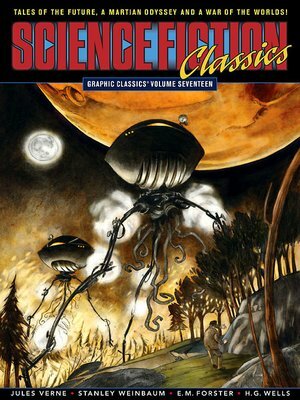 Science Fiction Classics presents comics adaptations of stories from the original creators of science fiction including "The War of the Worlds" by H. G. Wells and "A Martian Odyssey" by Stanley G. Weinbaum. Also featured are "In the Year 2889" a rare short story by Jules Verne, and Jack London's "The Shadow and the Flash." Plus E.M. Forster's only SF tale "The Machine Stops," and a short by Hans Christian Anderson.